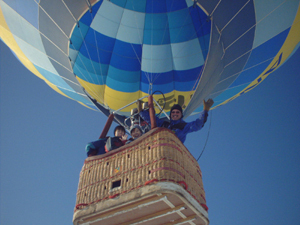 TOP [Program currently off season] Hot air balloon free flight! Best views of Hokkaido's winter wonderland! Experience views of the Hokkaido snowscape from a height of 500m! [Program currently off season] Hot air balloon free flight! Best views of Hokkaido's winter wonderland! Experience views of the Hokkaido snowscape from a height of 500m! Hot air balloon flight is approximately 20 min. This program is only available in winter. Enjoy a free-flight in the open air over snow-covered fields and experience the beauty of Furano in winter! Enjoy panoramic view of Furano City from the sky! You may have a chance to overlook Mt. Taisetsu and Mt. Tokachi on clear days. Click and flash the landscape from the sky! Enjoy winter landscape from the firmament! - Individual bookings will be put on a waiting list until another participant is found, then your bookings will be put together. - Please wear warm clothing. Hats, gloves, etc. are recommended. We offer free pick up and drop off at Furano hotels and Furano Station. ※If you would like to request this service please specify so in the Requests column when making your booking. -We will pick you up between 7:00 and 8:00. -Pick-up time is varied according to availability and we decide the time one day before. * You may make changes to the tour schedule and tour menu up to 2 days before the activity, including changing to another menu. * If the tour must be cancelled partway, there are not enough participants, or there is bad weather, you can change to the schedule or change to another program. If there are no other satisfactory programs available we will refund you the program fee. * We have accident insurance that will cover you in case of accident, however we recommend that you also have your own accident insurance coverage. Please be advised that we cannot cover more than the limits of our accident insurance. * Along with enjoying the great outdoors comes a certain risk of accident. To avoid risk of injury follow your guide's instructions at all times. You are responsible for your own safety and well-being, so please remain aware of your surroundings at all times. I love Furano's nature and want to show it to everyone. With the idea: "Do, Feel, Think... Nature" in my heart I look forward to showing you the many sides of nature. I hope to be an interpreter between people and nature. This is an experience you can only have in winter! 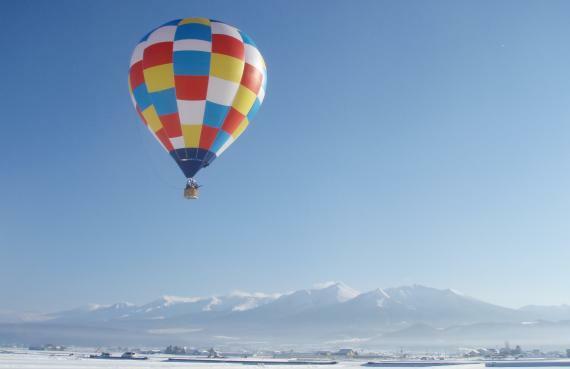 Hop in a hot air balloon and experience the grandeur of the Furano valley spread out below you like a giant quilt!